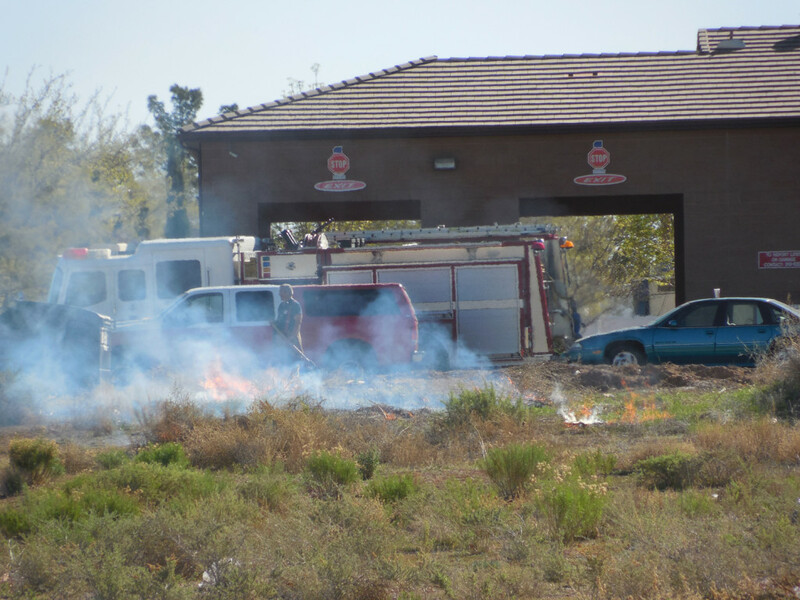 WASHINGTON CITY – A controlled burn engulfed a utility box in Washington City Thursday morning, raising concerns about potential power outages. 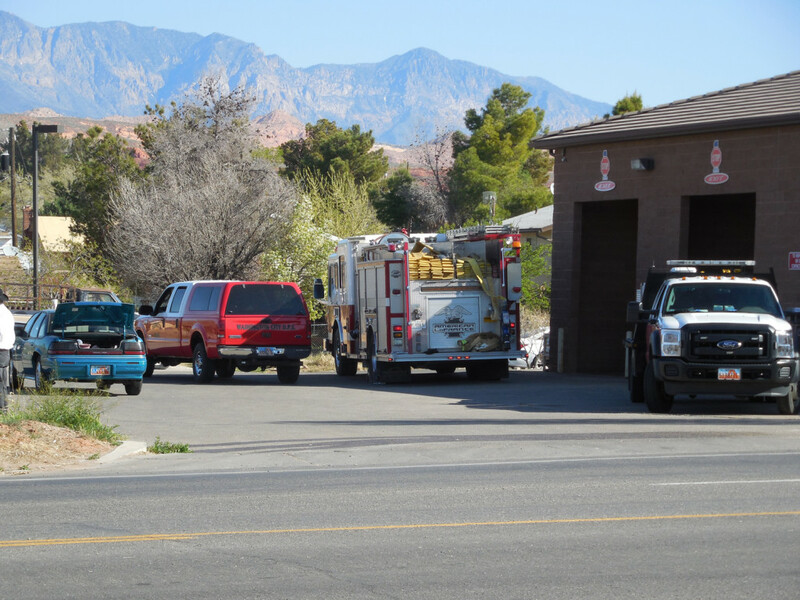 The St. George Dispatch Center received the call at 9:44 a.m. A property owner was attempting to burn weeds in an empty lot west of Cottonmill Avenue at about 700 East Telegraph Street in Washington. The property owners didn’t realize the cable was there, Hafen said. Firefighters couldn’t tell what company or utility the box belongs to. Rocky Mountain Power responded to the scene, as did TDS Telecom, however, the burned cables did not belong to either company. 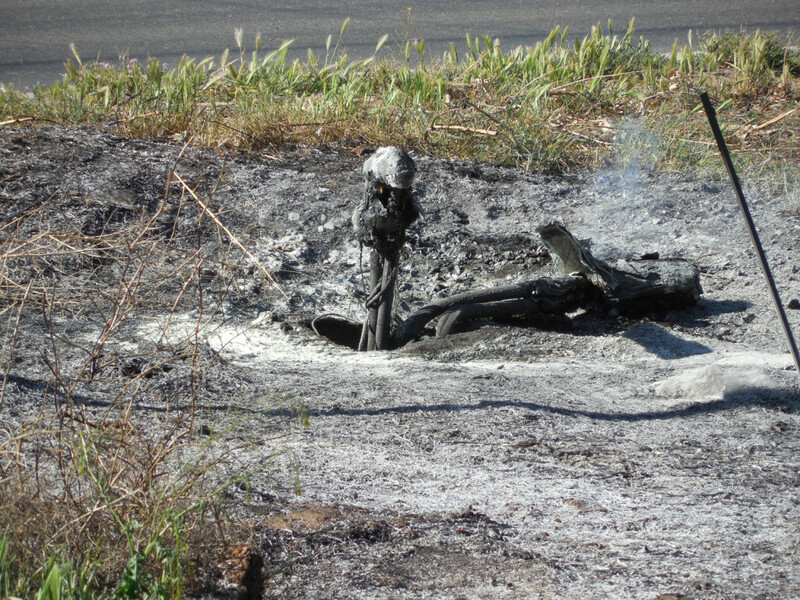 Hafen said the cable box may belong to CenturyLink, but that was not yet known, and it is unclear whether any service interruptions were caused by the fire. 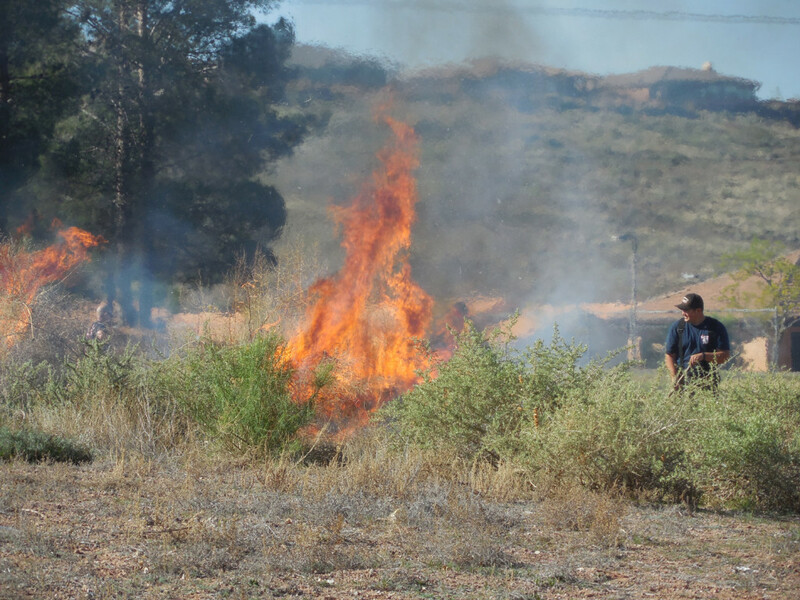 “We encourage people when they get (burn) permits, they’re supposed to put stuff in piles like this, rather than just trying to burn (weeds) out in the open,” Hafen said. 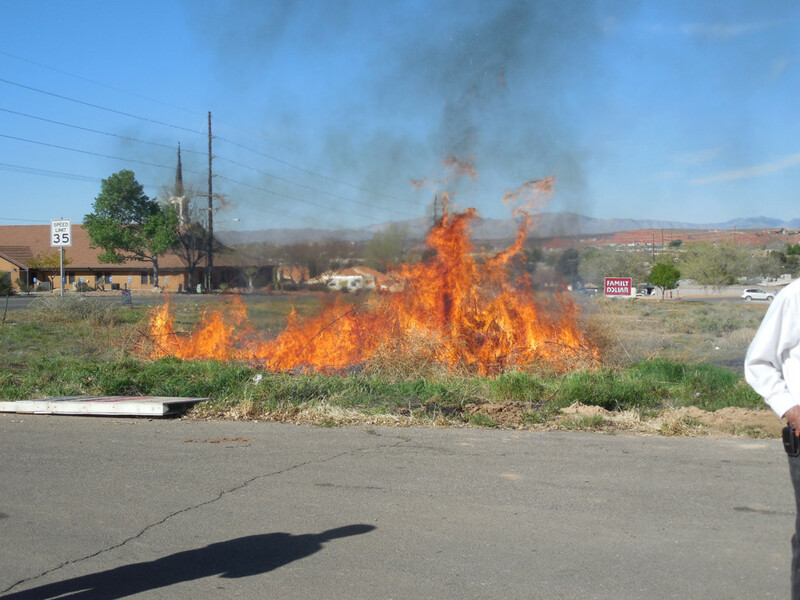 Piles of weeds burn better and can help avoid burning what may be hidden in the weeds. The property owner can be held liable for the damage to the cable box, Hafen said. 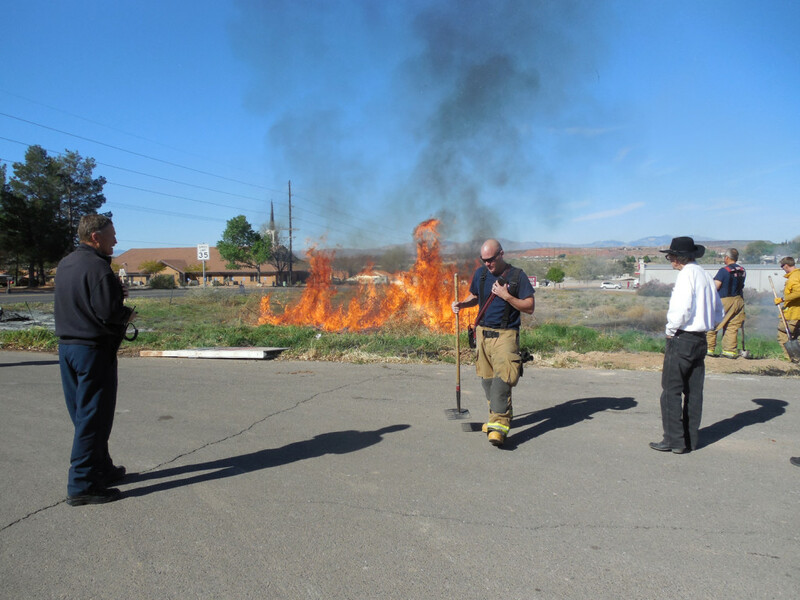 Since the firefighters were already on scene, they helped the landowner finish clearing weeds. 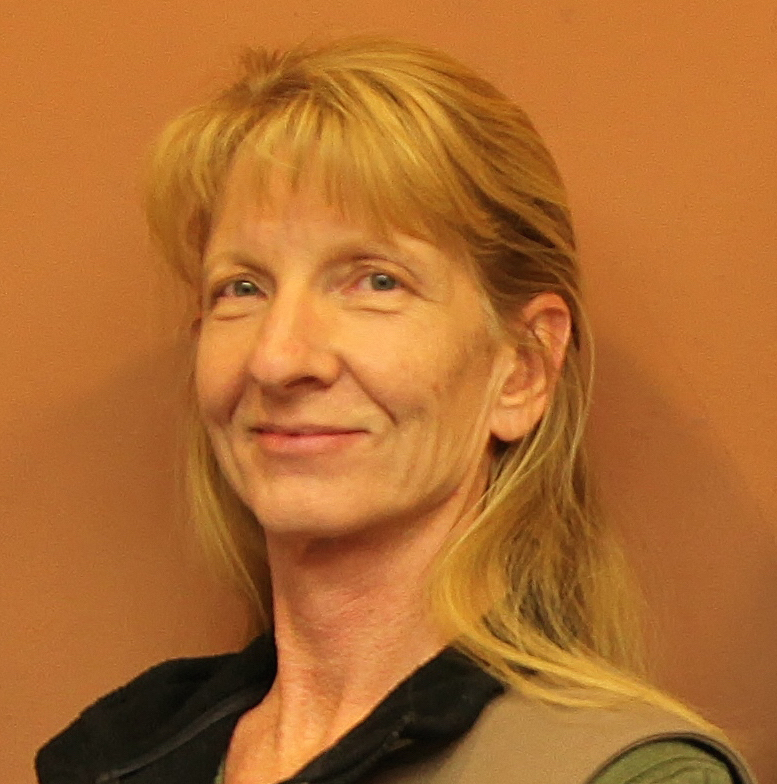 “This is not that big of a project, but for (the property owner) and his wife, it’s a little overwhelming so we just decided to help them out and do it for them,” Hafen said. Oops! And nice job firefighters!